1 Spain's Ona Carbonell performs during the synchronised swimming solo free routine preliminary at the Aquatics World Championships in Kazan, Russia. 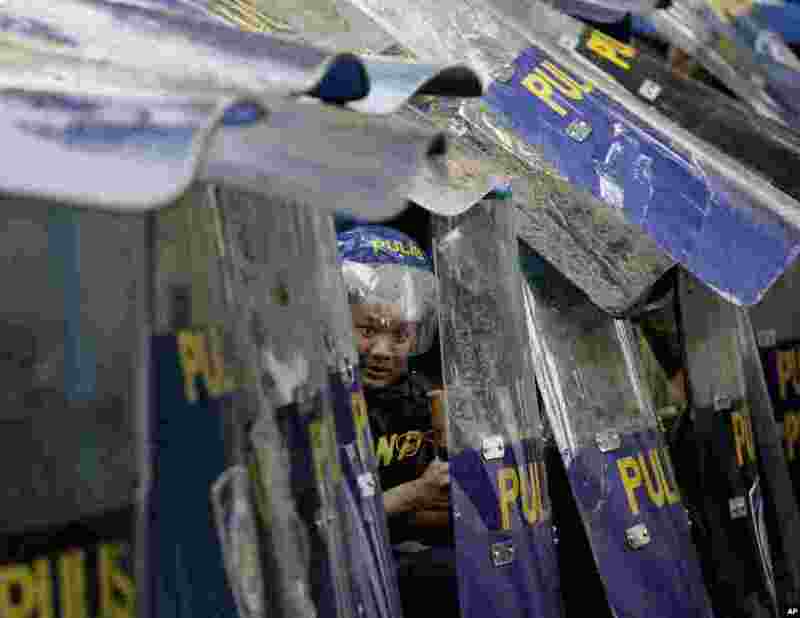 2 A riot police officer peeks through shields following a clash with protesters marching towards the parliament in suburban Quezon city, northeast of Manila, where Philippine's President Benigno Aquino delivers his final state of the nation address. 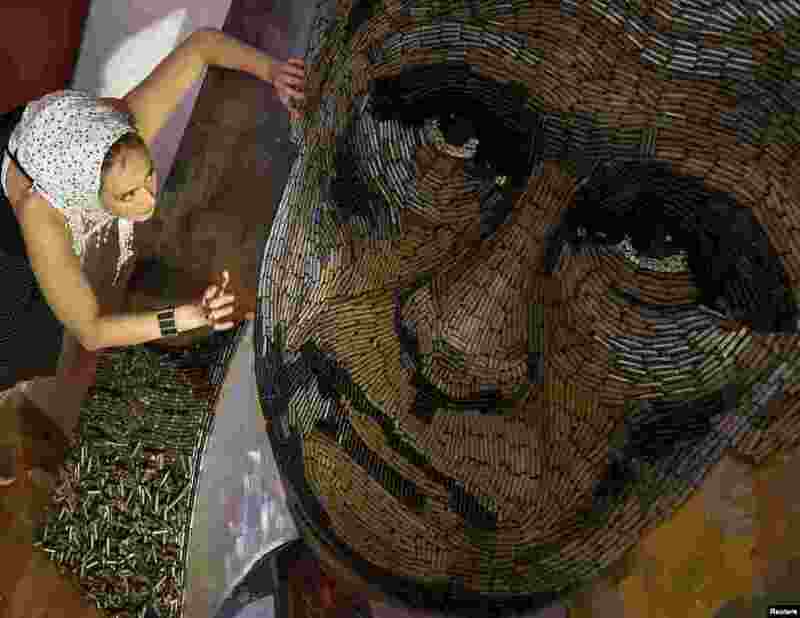 3 Ukrainian artist Dariya Marchenko works on a portrait of Russian President Vladimir Putin named "The Face of War" which is made out of 5,000 cartridges brought from the frontline in eastern Ukraine, in Kyiv. 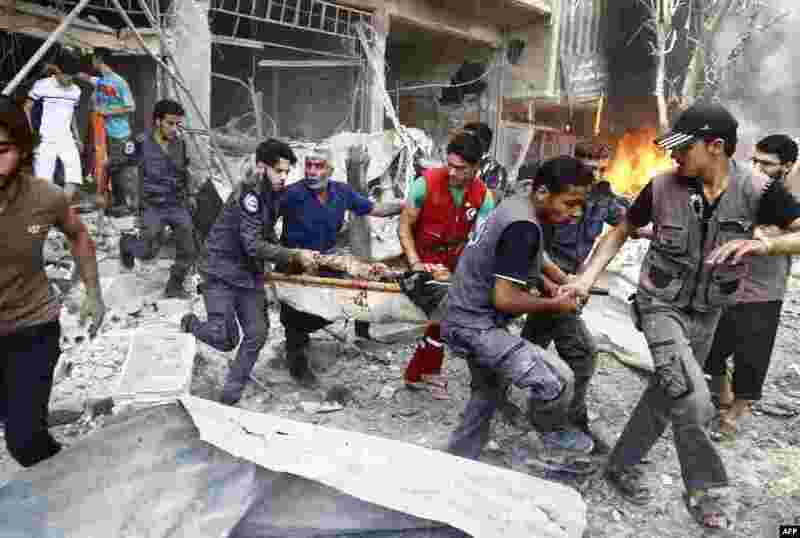 4 Emergency services and civilians carry a serverely wounded man on a stretcher following an airstrike on Douma, a rebel-held suburb east of the Syrian capital Damascus.